If you’ve been observing Bugatti’s social media channels lately, you’ll have noticed the automaker has been reminiscing about the iconic Type 57SC Atlantic. 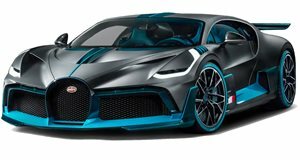 The timing didn’t seem like a coincidence, as rumors have suggested that Bugatti will reveal a special one-off hypercar at the Geneva Motor Show next week. With just a few days until the Swiss show begins, new teasers released by Bugatti have practically confirmed the new one-off will be a modern version of the iconic Type 57SC Atlantic. "Any modern interpretation of the 57 SC Atlantic should keep Bugatti’s unique tail light,” Bugatti wrote in the first trailer, confirming that the new one-off will feature single rear LED light strip just like the Chiron. We also get a brief glimpse of the vehicle’s rear decklid. As for the second teaser, Bugatti teased that "any modern interpretation of the 57 SC Atlantic would definitely keep the Atlantic’s dorsal.” This dorsal fin is shown in a brief teaser video stretching along the hood, over the roof, and splits the rear window in half. We also get a look at the car’s prominent wheel front wheel arches. 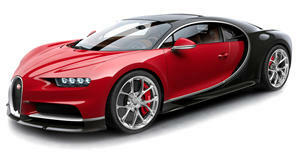 According to reports, the one-off Bugatti was commissioned by Ferdinand Piëch, the Volkswagen Group supervisory board and grandson of Ferdinand Porsche, who reportedly paid $18 million for it. Since Bugatti currently only builds two models, the Chiron and the Divo, chances are the modern-day Atlantic will be based on the Chiron since the Divo is essentially a rebodied Chiron. This means it will be powered by an 8.0-liter quad-turbocharged W16 engine that produces 1,500 hp in the Chiron, but it could be tuned to produce even more power in the new modern-day Atlantic. We’ll likely have to wait until the Geneva Motor Show starts on March 5 to see the covers come off Bugatti's latest creation, but it could debut online sooner.